It was a cool day with a small breeze, with sun breaks. Ideal for paddling in late Spring. We went down from the Coyote Creek Canoe Launch to Fern Ridge Reservoir. We encountered many birds along the way, and saw signs of beaver. There are a number of bird houses to shelter various small birds. 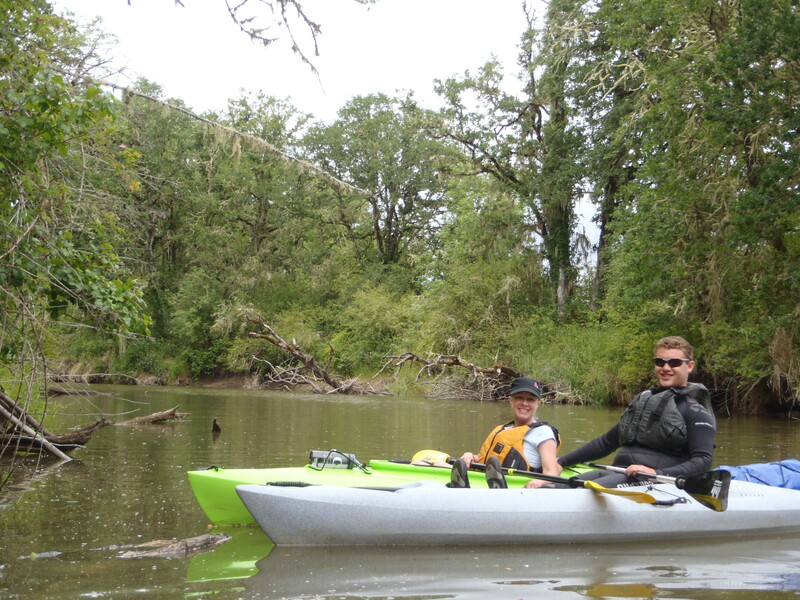 Here is a photo of a couple kayakers at the end of a nice day on, and in, the water! This is a link to the Coyote Creek hiking trails….